I was going through my archives the other day looking through my images from my trip to Israel in 2010. I’m going back to Israel next week and I was trying to remind myself what I shot the last time I was there. That trip took place before I started this blog and when I was just starting to learn about HDR. This was one image that I was never happy with. I had shot 3 brackets handheld but it was very dark and the longer exposure image was blurry and the HDR never came out the way I wanted it to. Of course that was before I was using Lightroom so I decided to process one of the brackets on its own in LR5. All I did for processing was to bring out the shadows and darken the highlights slightly and cloned out part of a railing. 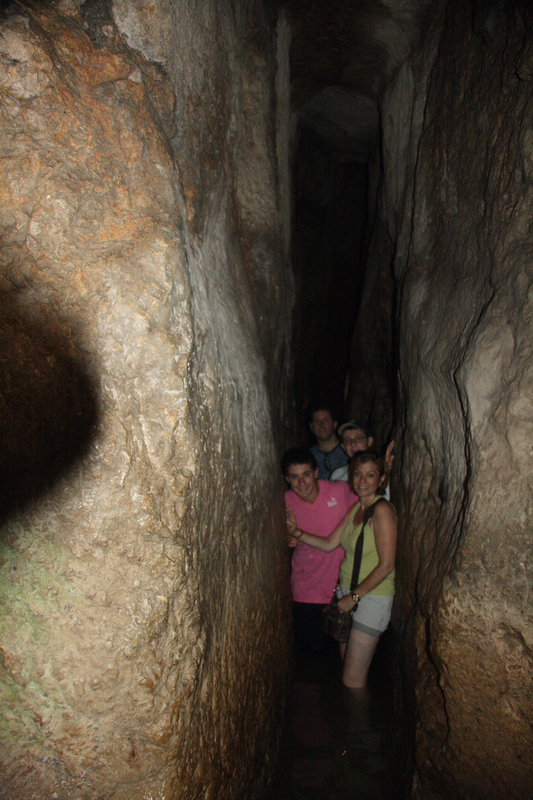 This was taken on the walk down to Hezekiah’s Tunnel in Jerusalem which was dug underneath the City of David. The tunnel dates back to the reign of Hezekiah of Judah in the late 8th and early 7th century BCE and was designed as an aqueduct to provide Jerusalem with water. This entry was posted on May 14, 2014 by edithlevyphotography. 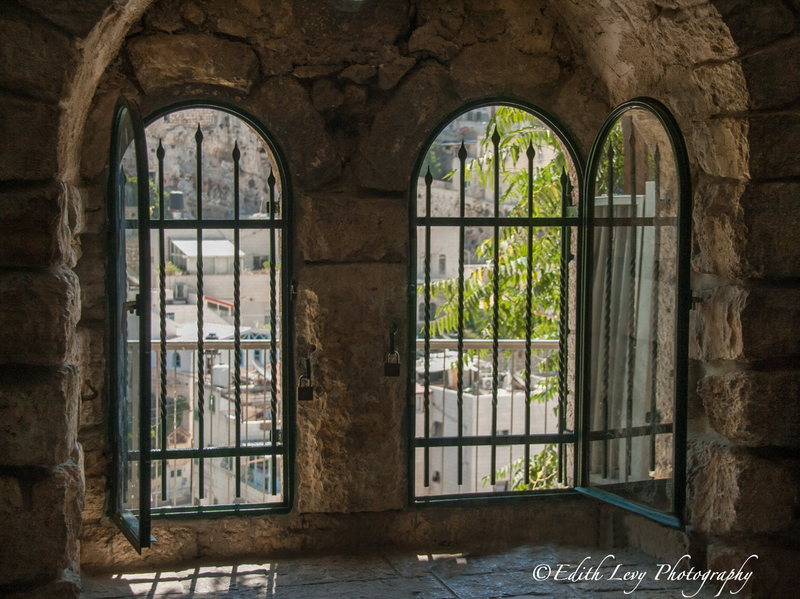 It was filed under Israel, Travel and was tagged with archeological, Canon, City of David, grate, Hezekiah's Tunnel, Israel, Jerusalem, Lightroom 5, old city, travel photography, Window, XTi. Yowzers! This definitely isn’t for the faint of heart. Well done on capturing the highlights and shadows inside and out. Thanks Laura. It is a beautiful country and I’m very excited to be going back. It’ll be great to see your photos! I strongly recommend it! There’s many interesting places, people and scenes to photograph there. oh my friend…what a delight this would of been. I adore tunnels…only problem is trying to capture a photo in them. lol. thanks for sharing this delightful post. Thanks Laurie. Capturing anything useful inside the tunnel was really tough. It was very narrow and at certain points the water was so high that I had to hold the camera above my head so it would get wet. Wonderful images Edith. I don’t process HDR nearly as much as I used to (even though I always bracket) due to the ability of LR 5 to bring out shadows and recover highlights. A trick I sometimes use is to export the brackets to Photoshop, create an HDR file, bring it back to LR and process it there. Those sliders become even more powerful with a much broader range with the resulting file. Looking forward to your images from Israel trip. Thanks Len. I don’t do as much HDR either for that same reason. I haven’t tried processing the brackets and then bringing it back to LR5. Thanks for the tip I’m definitely going to try that. Have a wonderful trip Edith. I love the composition of the photograph. The tunnel sounds like fun! Thank you Adrian. It was a lot of fun. I love this photograph, Edith. Wonderful textures and colors. Travel safe, and have a fantastic trip. Great job saving the shot Edith – would love to see your original processing for comparison. Very jealous of your upcoming trip. #1 spot on my remaining bucket list! Have a great time, looking forward to the photos. Thanks Tina. I guess I should have posted the original. I will do that. We learn a lot from our archives, Edith, as you so rightly observe. Enjoy your trip. What a great experience, Edith. Love these photos. I love looking back over older photos, they really show us how much we have advanced in post-processing. Nice job! Have a safe & great trip! Great shot and enjoy Israel, I’m hoping to get back there soon. I just love stuff like this, Edith, great capture!! Wonderful way of framing the entire scene, you can literally feel the rich history in your image!! Thank you so much Toad. I really appreciate t.
This only shows how much one can accomplish with only one exposure when shooting in raw and processing in Lightroom (or equivalent). Quite amazing. I wish you a great trip back to Israel. Thank you very much Otto. Please, bring us more photos from Israël ! Thanks David I certainly will. How interesting Edith. Thanks for posting. It looks great! Amazing adventure felt being inside history. How was the water temperature in the aqueduct? LOL…it was cool but comfortable.